As always, Trevor did an excellent job. Very competent, friendly and efficient. He is a credit to your company. Outstanding employee as far as we are concerned. Wade was very professional and courteous, and explained a number of things we were curious about. I was very pleased with all the information, and lack of pressure to sell product at this time. Wade carefully diagnosed our water problem and offered a solution. The impressive part is that our ferrous iron issue could easily have been overlooked, but Wade kept digging for answers. I am confident his solution will prove to be a long-term answer to our water issue. Wade was prompt this morning and very professional. 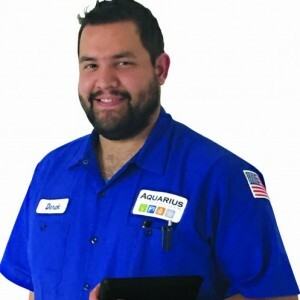 He helped us with our filter and sold us two new ones. He explained everything, tested the water and was extremely courteous. It was a perfect service call. Thank you for sending Wade. Excellent service. Well worth the money and peace of mind. Wade Wambolt was outstanding on a recent service call to our home. Always very kind, informative and great to work with. 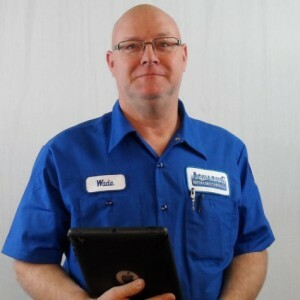 Wade, the service tech, came to our home in St. Croix Falls. He did an excellent job -- was timely, professional, courteous, and knowledgeable. The service prices were fair and he was thoughtful in his recommendations. Would use again. we are very pleased with everyone. Wade came out and fixed our 5 year old water softener-a tiny spring was broken. It was a small part. Honestly, I was surprised & disappointed that there was such a small, weak, component that was so essential to the system. It was covered under warranty, but the labor was not covered. That said, Wade was wonderful. He was professional, very friendly, calm, & relaxed. With in seconds, he told us what was wrong and began the repair. He talked his way through the repair, explaining everything to us. He answered all of our questions. He was very knowledgeable. He even remembered installing it 5 years ago. Wade was wonderful and took time to show us how to take care of the machine. The only difficult thing for us was waiting for an appointment. It two weeks for a technician to come out and our water was turning everything red. However Wade was prompt and took the time too make sure everything was working. We were told they hired three new technicians so hopefully people can get serviced quicker. If service scheduling improved with quicker appointments, we would rate a ten.